NOVEMBER 21, 2015. The Santiago Bernabéu was packed to the last man. For a semiternal period of 10 minutes, no incident of note had taken place during the latest instalment of the greatest gladiatorial contest on the planet, which isn’t, as of yet, Bruce Wayne vs. Clark Kent. The home support was waiting with bated breath for that which was never delivered. Rather unceremoniously described as a voluptuous Iberian restaurant staff, Rafael Benítez had been coerced into shoehorning his constellation of Bale, Benzema, Ronaldo and James into the starting XI, a line-up that was characterised by an un-Benítez-like lack of pragmatism. Behind them were Luka Modrić and Toni Kroos. Excellent examples of professional world-class sportsmen, and a better example of how not to assemble a team to face a club renowned for monopolising possession in the midfield. The centre of the field was there to be taken. Who better to do it than the all-conquering, perfectly-complementing trio of the intelligence of Sergio Busquets, the street-smartness of Ivan Rakitić and the irrepressible craft of Andrés Iniesta? However, at the base of the team was a figure that has polarised opinions and invited vitriol and plaudits with the same enthusiasm. Gerard Piqué Bernabéu, the Mancunian Catalan of FC Barcelona. The ironic presence of his last name certainly brings a new dimension into the argument over his nationalistic actions, or rather the lack of them. This is a player who had reached the zenith of his career at 23, when, partnered with a Carles Puyol whose twilight was still too bright for Germany, they bludgeoned their way through one of the most violent World Cup finals of all time. The infamous day was summarised aptly in one notorious picture of Nigel de Jong inflicting his studs on Xabi Alonso’s solar plexus that, had it been on anywhere but a football pitch, would certainly have invited legal repercussions. Four years later he reached the nadir of his career when, at the end of a trophyless season under the toothless Tata Martino, he was inflicted one of the most morale-sapping revenge acts in football history. Posterity might only remember the swing of Daley Blind’s left boot, and how Robin van Persie snatched the sobriquet of the Flying Dutchman from Dennis Bergkamp, but the goals by Arjen Robben mortally wounded the credentials of Sergio Ramos, Piqué and Iker Casillas. Coupled with an aggregate 7-0 loss at the hands of the brutally efficient Bayern Munich, Pique had been singled out as a scapegoat due to his lack of mobility, epitomised by how he bundled the ball into his goal after a seemingly innocuous cross by Franck Ribéry. What his detractors and most vocal critics forget, is that Gerard Piqué is not a Tony Adams or a Paolo Maldini. He has forged a new template for young central defenders to employ, while almost single-handedly remoulding the image of the rugged, brutish central defender who could never be entrusted with the finer crafts of football, into that of a caressing, languid, yet intelligent player, who is the root of all creativity in the team. Aymeric Laporte, John Stones, Daley Blind, Marc Bartra; all splendid examples of how Piqué has revolutionised, with a bit of help of Pep Guardiola, the role of the centre-back in modern football. In the Clásico, at precisely nine and a half minutes, he sauntered into the Madrid half with the presumptuousness and precociousness that only a Catalan can show in the heart of Madrid. Every time he received the ball he was mercilessly booed and whistled, shown unequivocally that the concept of an independent Catalonia is reviled in the rest of Spain. Yet, Sergi Roberto and Sergio Busquets almost petulantly insisted on giving him the ball every time he offloaded it. Each time, the jeers resumed even before they had died down. Roberto. Busquets. Piqué. Rinse and repeat. They were sparring, waiting for the chink in the armour to reveal itself. The superficial façade of Madrid’s structure soon gave way, probably under the weight of the harsh censure of the spectators, and the outside of the boot of Luis Suárez quickly silenced the opprobrium of the Bernabéu. Gerard Pique, as always, was slipping under the radar and under the harmony of Messi, Suárez and Neymar, and dealt another blow to the bruised ego of the Galácticos, who already were suffering from a Kevin Roldan-sized wound. There is a moral dilemma and debate about the role of Gerard Piqué, and indeed Catalonia, in the space of Spanish nationalism. In the midst of the Spanish Civil war raging in Catalonia, Barcelona stood like a benevolent mother with her arms held out, a veritable church welcoming all those who seek refuge. On the weekends, the Les Corts stadium was a Mecca for Catalonia. A place of pilgrimage, where one could have solace from the inescapable reality of divided Spain. Aided by the mesmerising football of László Kubala, Pepe Samitier and the legendary goalkeeping of Ricardo Zamora, Barcelona cemented its place as mes que un club. Born exactly half a century after the war that ripped Spain apart, Gerard Piqué is both a product and a producer of Spanish history. His father, Joan Piqué, is an affluent businessman and his mother, Montserrat Bernabéu, an important administrator in a hospital in Barcelona. He developed an interest in football early on and began his youth career in 1997 when he entered the Barcelona academy as a ten-year-old and joined the youngest boys’ team at the club at that time (Alevín B). He was among the main defenders of his team and practiced in the academy for several years, passing through the various youth levels and age categories (Alevín A, Infantil B and A, Cadete B and A and Juvenil B and A). However, his path diverged from the normal trajectory of most youngsters of La Masia. 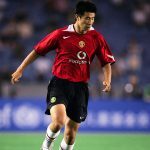 Before playing a single professional match for the first team, he signed a contract with Manchester United in 2004, befuddling and bemusing many along the way. In the summer of 2007, the defensive resources of Manchester read as follows: Nemanja Vidić, Rio Ferdinand, Ryan Shawcross, Gerard Piqué, Gary Neville, John O’Shea, Wes Brown, Patrice Evra. Half-decent, some would reckon. However, the inexplicable transfer policy that has since plagued the United hierarchy soon took root. Joining Barcelona as fourth-choice centre-back, down the pecking order after Carles Puyol, Piqué’s self-professed ‘guardian angel’, Rafael Márquez and Gabriel Milito, Pique forced his way to the top of the food chain. Guardiola had recently taken over from Frank Rijkaard and was implementing his own philosophy, which had successfully worked with the Barça B team. In goal, Victor Valdés became more of a sweeper-keeper – a libero – clearing his lines and helping his defenders. 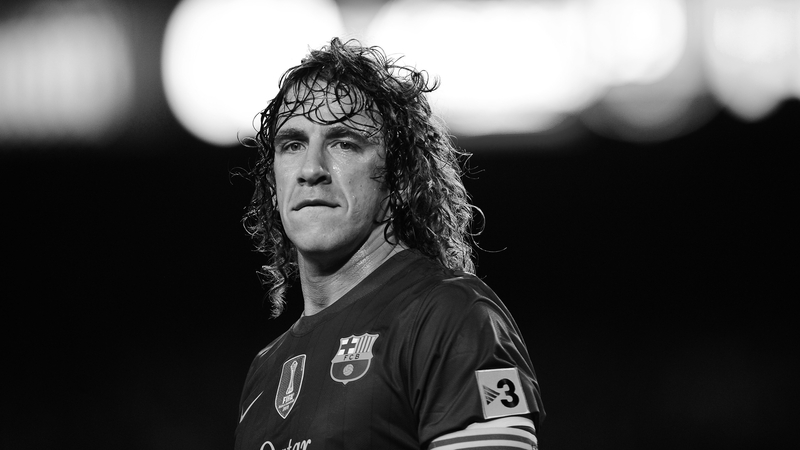 At the back, Puyol consolidated his place as the team’s leader and organiser, while Márquez and Pique shared the duties as the ball-playing, distributing defender alongside the courageous captain. The 2010 World Cup brought forth another hurdle, another Holy Grail for Spain to claim. Hindered by an inauspicious start, they were defeated 1-0 by Switzerland, where the latter used a template that would be perfected by teams in the following years to stifle Barcelona’s midfield monopoly, culminating in the sensational defeats of Barcelona by Celtic and Di Matteo’s Chelsea. Following that defeat, the stoic Vicente del Bosque brought in the golden boy of Spanish football into the starting line-up, Fernando Torres. He took off his strike partner David Villa’s shackles, allowing him to dominate the rest of the tournament with his lethal finishing and ruthless technique. Conceding a measly two goals in the most elite tournament of football on the planet, Piqué and Spain matched the record for the least goals conceded in a World Cup. Four consecutive 1-0 wins over Portugal, Paraguay, Germany and Netherlands led Spain to her first World Cup. Such victories are defined by gritty defending and a never-say-die spirit, best embodied by the legendary defensive unit of Pique, Piqué, Ramos and Joan Capdevila. The successful European Championship campaign in 2012 saw Pique, for the first time, at the heart of the defence without his confidante who had been ruled out with a knee injury. Sergio Ramos shifted inside to partner his Clásico rival, while being protected by a double pivot of Xabi Alonso and Sergio Busquets. Whoever said that Spain is divided? 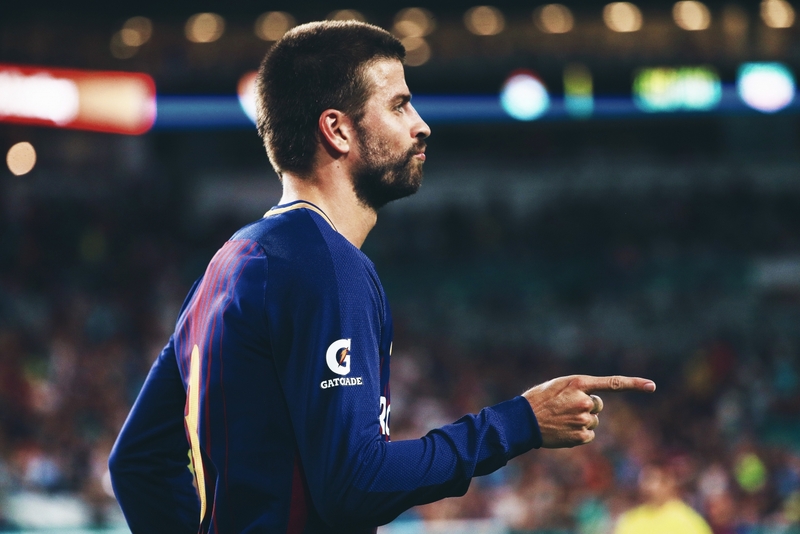 Apart from possessing an uncanny ability for winning aerial duels and sweeping up all threats, Piqué also possesses an irascible talent for being at the maelstrom of every possible controversy. After winning his second Champions League at Wembley (defeating United, again), he cut down the goal net, the most precocious of souvenirs. He repeated the act at the Olympic Stadium in Germany after defeating Juventus in the 2015 final. His passionate pleas and campaign for Catalan independence and the subsequent referendum made him the prime target for socio-political fanatics and zealots in the rest of Spain. That, coupled with the intense antagonism he faces in Madrid, makes the level of hatred against Piqué and his spouse, Shakira, almost unimaginable. His reaction? “I don’t care about them. I have just won the treble.” Insouciant to the grave. The truth is, it would be foolish to assume that Gerard Piqué is castigated for his technical abilities as a footballer. He stands among that rare breed of footballers whose lives and stories have been intricately linked with that of the history of Catalonia. This is a special history, deriving its enchantment from various sources, and lending some of its mystique to places where little is to be found. Johan Cruyff, Ronald Koeman and Louis van Gaal lent an air of invincibility, a school of philosophical sportsmanship and Dutch pragmatism to the passionate Catalans, Vic Buckingham and Terry Venables imparted a sense of the British order and discipline that created the platform from which subsequent generations could adequately express their creative instincts, and Helenio Herrera, César Luis Menotti and Diego Maradona gifted an air of wackiness, the sense that mavericks were always welcome at the club. Legions of Catalan players who have traditionally been overlooked in favour of their imported counterparts are equally monumental in Catalan lore, the Cules: Guardiola, Amor, Josep Maria Fusté, Xavi Hernandez and Carles Busquets, among others. Barcelona has also imparted pieces of history, of legend, so that when Bojan Krkić infuses magic into the dourness of the Britannia, when Pedro and Cesc Fàbregas ply their inimitable trade under the harsh floodlights of Stamford Bridge, when Yaya Touré breaks into unstoppable stride at the unforgiving Etihad, the footballer in the viewer, the small part of him that believes in the democracy of the footballing spirit, rejoices. For Gerard Piqué and countless others, products of Catalonia’s violent and repressed history, the club is not just an institution. It is a way of life; it is their lifeblood.